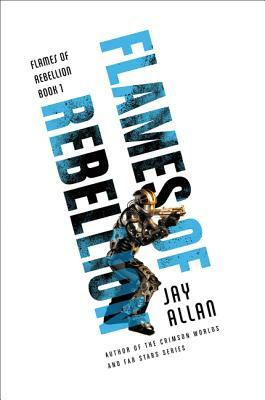 A group of rebels fighting for independence sows the seeds of revolution across the galaxy in this blockbuster military sci-fi adventure from Jay Allan, the author of the Crimson Worlds and Far Stars series. Wells quickly realizes that Stanton has the true power ... and two battalions of government security troops -- specifically trained to put down unrest -- under her control. Unlike Wells, Stanton is prepared to resort to extreme methods to break the back of the gathering rebellion, including unleashing Colonel Robert Semmes, the psychopathic commander of her soldiers, on the Havenites. Damian Ward is such a resident of Haven, a retired veteran and decorated war hero, who has watched events on his adopted world with growing apprehension. He sympathizes with the revolutionaries, his friends and neighbors, but he is loath to rebel against the flag he fought to defend. That is, until Stanton's reign of terror intrudes into his life -- and threatens those he knows and loves. Then he does what he must, rallying Haven's other veterans and leading them to the aid of the revolutionaries. Yet the battle-scarred warrior knows that even if Haven's freedom fighters defeat the federalists, the rebellion is far from over ... it's only just begun.